Shark is best known for producing cutting edge home appliances to suit various house cleaning tasks. 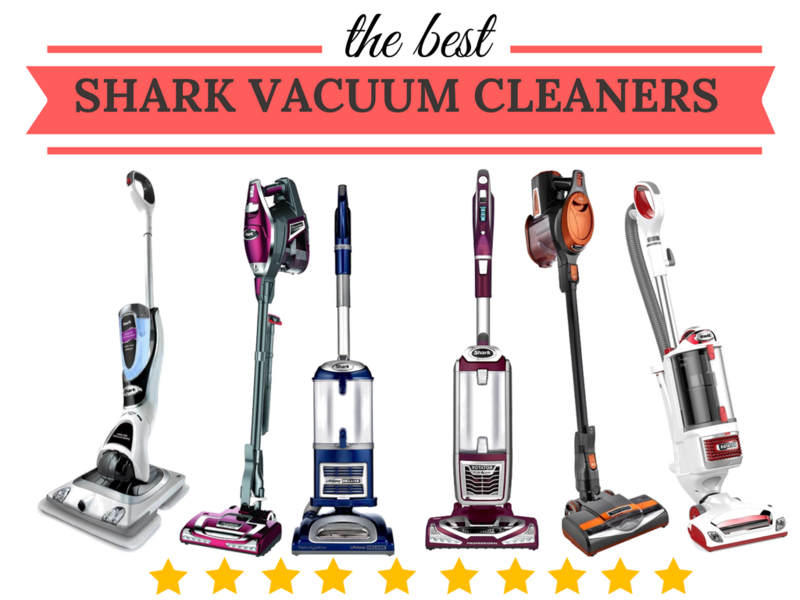 In this review I want to go through the best Shark vacuum cleaner. 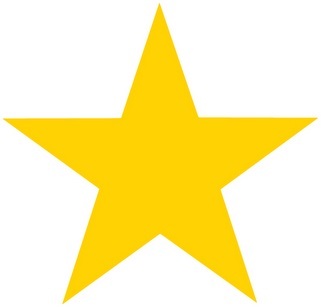 The brand is a subsidiary of Euro-Pro Operating, LLC. Their products meet the demanding needs of the modern consumer by offering high quality affordable cleaning solutions that save time. Shark are acclaimed for their vacuum cleaners which feature a high level of suction power and innovations in maneuverability. The attention that is given to these features improves the convenience and ease of use associated with Shark machines. Both their uprights and canister vacuums are praised for being robust appliances at a mid-range price bracket. The brand’s popularity has soared mainly because of consistently delivering all of the above whilst matching the power and features of other premium brands that charge a much higher price. Shark encapsulates quality at a low cost and their vacuum cleaners have enjoyed plenty of raving reviews as a result of this. Shark is a reputable brand that has managed to corner a large portion of the vacuum cleaner industry, with the help of its proprietors Euro-pro. Shark focus on producing smart appliances that are extremely usable whether you have a small flat or large family house. The company’s goal is to make products that can cope with demanding house cleaning where rival brands might struggle. Their appliances are priced very competitively across the product range. You’ll often find that vacuum cleaners with similar features, from competing brands, cost a lot more. The company’s strong understanding of the consumer market has contributed to their solid track record. 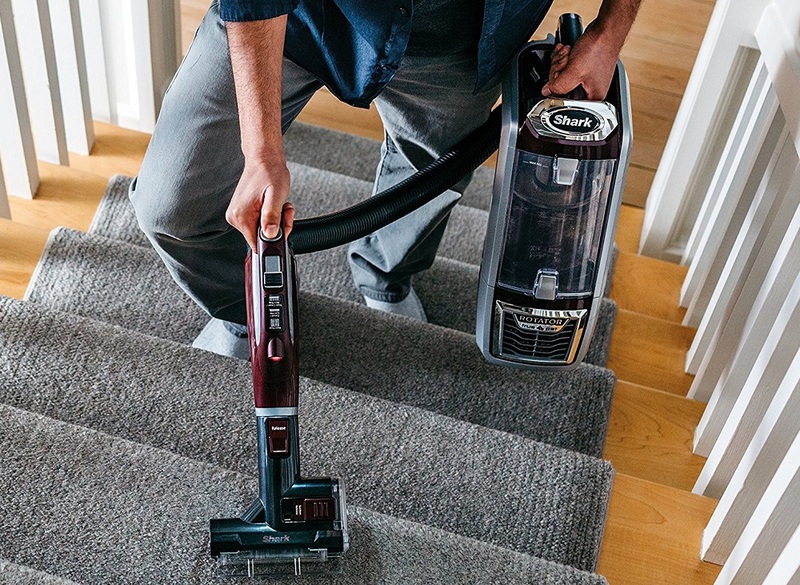 Shark understands how cleaning demands will vary from home to home, which is why their vacuum cleaners provide a great range of options and solutions. Whether you’re a clean freak like me or occasionally get the vacuum out on the weekends, you are guaranteed to find a Shark machine that suits your requirements. This piece of information might not contribute to your purchasing decision but nonetheless I thought it would be nice know. The company has been passed down the Rosenzweig family and is now under the leadership of Mark Rosenzweig, who is Euro Pro’s current CEO. Similar to his predecessors, he thrives on delivering high quality appliances at an affordable cost. Mark isn’t shy to get in front of the camera to show off his innovations and the benefits that come with owning a Shark product. 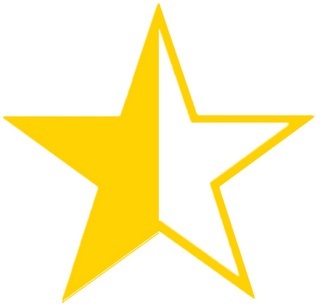 Shark’s mission is to continually develop their appliances to benefit their customers and add value to household cleaning whilst maintaining affordability. Their Ethos is what sets them apart from their competitors. Why would anyone want to a pay for an expensive premium appliance with complicated features? The company has managed to develop cleaning appliances that consistently deliver and this is why the brand is highly favoured. Given that most of Shark’s cleaning appliances are so popular, it’s hard to pick out a single product that outshines them all but the ones that are receiving some great reviews are products such as the Shark Sonic Duo which offers superb multi-floor cleaning and a high overall rating of 9.2 but we’ve not got to the best part yet. Keep reading. In addition to producing high quality cleaning products, Shark is one of the brands which makes a product that does what it says on the tin. Similar brands have a tendency of using fancy marketing which often doesn’t live up to its claims. Shark have set out to be better than this and it has earned the trust of many customers throughout the years. Its safe to say that buying a vacuum cleaner or any other cleaning appliance from Shark is money well spent. With Shark products you are spoilt for choice but you come here to see which of their vacuum cleaners performs the best, so I’ve narrowed it down to just 2. This portable vacuum cleaner has the dual function to switch from handheld to upright thanks to an extendable supporting shaft provided. Floor Type-Its versatile enough to use on rugs, carpets, hard floors and stairs because of its light weight and interchangeability. Suction- The Shark Rocket Truepet is equipped with Cyclone power so it doesn’t lose suction and it provides incredible suction whilst only weighing a mere 3.6 kg. Manoeuvrability- You’ll enjoy how easy it is to manoeuvre around the house using swivel steering which is one of best found on any current vacuum cleaner. You have the freedom to vacuum anywhere from tight spaces to window seals. Remember when I mentioned that Shark has a no nonsense approach to complicated features- their Rocket technology means exactly that. Accessories- The rolling brush has 2 variable speeds for different floor types. It has a clever bagless dirt disposal system that allows easy emptying using a single button. Plenty of tools are provided including a dust brush, 12″crevice tool, upholstery brush and even a car kit. The filters are washable. The on-board accessory storage compartments allow you to access all your cleaning tools whilst you’re cleaning. The TruePet Lift-away will capture virtually all allergens, dust and any other airborne particles circulating in the air using its Anti-Allergen Complete Seal filter system. 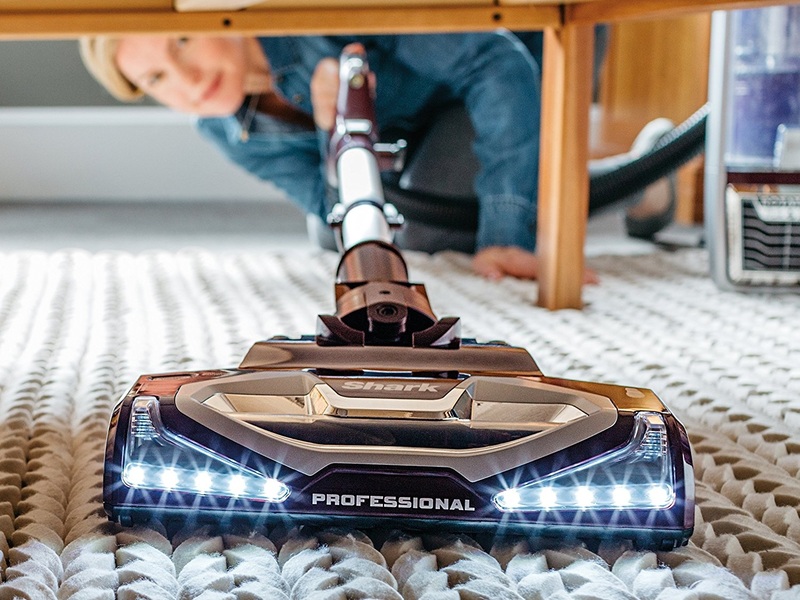 Noise Level- This is one of quietest vacuum cleaners you’ll ever use thanks to Shark’s ultra-Quiet Technology you never need to worry about disrupting anyone. You can even switch it on whilst your family or friends are watching t.v. without interrupting them. Suction- The suction power can be controlled depending on carpet or floor type. Cyclone technology comes as standard to ensure that this vacuum cleaner never loses suction power through its operating life. Manoeuvrability- The TruePet Lift-away is agile enough to be operated with a single hand owing to its remarkable swivel steering. The brush head has its own motor for added dirt lifting capabilities and it will tackle tough carpet dirt with minimal effort. Accessories- Lots of tools are supplied with the TruePet including a dusting brush, crevice tool, multi-angle brush, a caddy for storage. If you’re a pet owner you’ll be happy to know that Shark also supply a separate TruePet power tool. The hose has a long reach to get to awkward areas and ceilings. Its great to know that there’s hardly any vacuuming task this unit won’t do. Shark provide a long 7 year warranty as standard. You won’t find an extended warranty for this long on competing products. This guide clearly shows that Shark appliances are top notch and succeed at making vacuum cleaning as simple as possible. Even the method in which you dispose dirt from the machine’s canister has been given great thought. Their products are designed to suit the modern busy lifestyle by providing unique storage solutions and cleaning convenience, so you can get through vacuuming tasks at blazing speeds. It doesn’t matter whether you are a stay-at-home parent or a busy professional, you’ll find a Shark unit to suit you. There’s the added advantage of giving your floors a deep clean, with little effort every time you bring out your Shark. The time that you save, as a result of using these appliances, is worth the investment. Are you considering buying a Shark vacuum cleaner or maybe you already own one? Please drop us a quick note within the comments section below. Happy cleaning. Thank you so much for your review. I really did not know that much about Shark vacuums before and tended to stick to the more common Dirt Devil brand. Unfortunately, my dirt devil I bought last year broke after only one year of use. I’m pretty frustrated and now am very critical about vacuums in my search for a replacement. I currently live in an apartment, so the Dirt Devil I had before was a compact cleaner so that storage in my limited space was easy. Which Shark would you recommend as a decent compact vacuum that is also sturdy and would last a while? Sorry to hear that your Dirt Devil broke after only a year of usage. If space is limited in your apartment I would go for the The Shark Rocket Truepet. It’s a compact handheld but provides the equivalent power and performance as a full sized vacuum cleaner. The extendable shaft supports the appliance to give it a similar experience as using an upright vacuum. Oh and it will last you much longer than a year. That vacuum looks pretty sweet! My only concern is the compartment looks really small, I couldn’t find how much dirt it can hold before having to be emptied out. Would you happen to know? Otherwise, it seems like a great choice. Hey Sarah, the dirt cup compartment on the Shark Rocket HV322 is actually twice as big as the original Rocket. Its a portable vacuum cleaner that is powerful enough to replace your full sized machine. Are you considering the handheld Rocket or the upright Rotator? I have never heard of Shark vacuums before but from your reviews, they seem like they are really great quality and worth the money. Are they similar to Dyson? I currently have a really old upright but half the parts are missing and it’s time for me to replace it. Having a super-shedding dog with short hair, which vacuum would you recommend for me? I do prefer the washable bags and being able to use the hose to get into tight spaces is always a must as well. Hi Nikki, Shark vacuum cleaners are highly recommended. Yes they’re are similar quality to Dyson and in some cases their versatility makes them better than Dyson, for example the TruePet NV652 can switch between upright to canister mode in seconds. I would recommend the TruePet Lift-Away NV652 or Rocket TruePet specifically designed to get rid of pet hair. Shark also provides power tools for hair removal. You can also review my comprehensive list of the best vacuum cleaners for pet hair here. I am glad to have landed on this page exactly when I am thinking of buying a new vacuum cleaner. As I was hunting for a smart VC I came across Dyson products, which impressed me a lot. I would love to read a comparative review between the Dyson and the Shark so that I could make a more informed decision before I commit myself to buy one. Dyson products are of course more expensive. So I might go for Shark eventually. I would very much appreciate if you could enlighten me with a comparative review of these two products.